Meet our fur beasts. 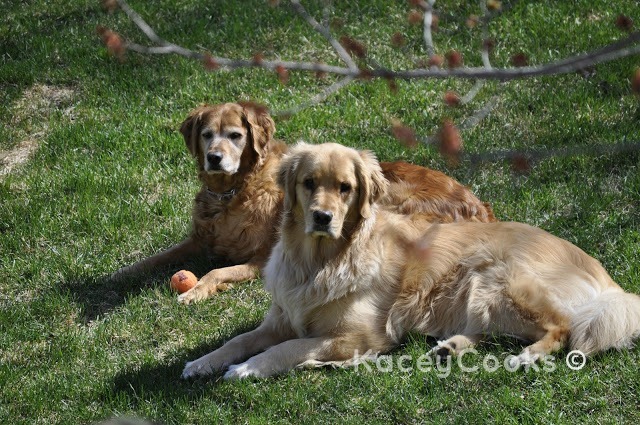 Honor is our 3-year-old male Golden Retriever- he’s the big brute in the front in the picture below. 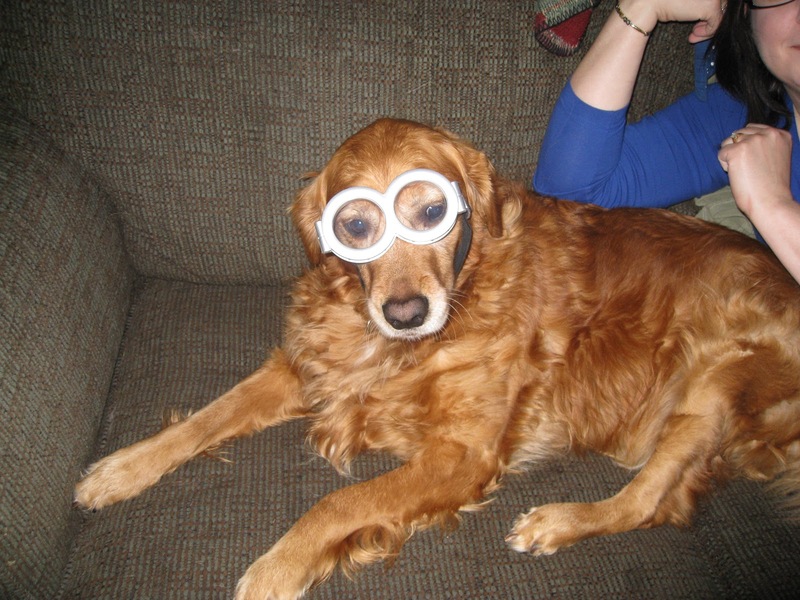 Delaney (Laney) is our 7-year-old female Golden Retriever. It’s rare you’ll see her without a ball or toy either near her or in her mouth. In this picture she was kind enough to take it out and put it down in front of her. I’m curious how many in our little blog community have dogs. Do you ever make them homemade treats? If there is one thing you need to know about Golden’s it is that they are food whores. I’m truly sorry to use that word, but nothing else quite captures the essence of their willingness to do anything for food. These dogs can be outside and using Jedi Golden Retriever powers can sense one of us thinking about cheese, and they’ll come running to the door to be let in so they can have some cheese. In fact, our dogs know more food names than they do obedience commands. They were taught obedience commands, but we found out words like “carrots, peanut butter, banana, green beans, sweet potato, cheese, liverwurst, cookie (crunchy mailmen), apples, pineapple, strawberry, cuties”, (those little easy-peel clementines) work so much better than “Come” and “Stay” and “No Barking”. Dogs need crunchy treats to keep their teeth and gums healthy. They don’t need sugar, HFCS, GMO’s, excessively processed human food because their bodies just weren’t made to digest the stuff. Neither are our human bodies for that matter, but that didn’t seem to stop Monsanto or the douchecanoe’s that run the company. I like to make homemade treats simply because no matter how healthy a dog treat says it is, the fact is that it had to be processed in a factory and my dogs deserve better. Plus, most dog treats have dairy or eggs in them, and Laney is terribly allergic to eggs. Or, they’ll use chicken meal or chicken by-products… WTHeck is that?!? Honor is allergic to chicken, so making treats at home is the only way for us. When we don’t have a container of these sitting around, the dogs get baby organic carrots for a snack. Sometimes I’ll even dry apple slices and sweet potato slices in the oven. They LOVE those. Like any good dog, ours bark at any thing or any one that walks anywhere near our home. Their favorite person to bark at aside from the UPS man is the Postlady. I thought it was fitting then, that we call these dog treats Crunchy Mailmen. 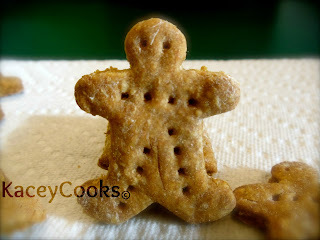 I would have called them Crunchy Mail-ma’ams, but I don’t have a girl gingerbread cookie cutter. So mailmen will have to do. I used only organic or non-GMO ingredients for this recipe so it is completely GMO free. ALLERGY WARNING: For those people who live with someone who suffers from a P/TN allergy, just omit the peanut butter in this recipe and replace with an entire ripe banana. Simply mash it up and combine it at the same time you would have combined the PB. You may also need to increase the olive oil up to 1/4 of a cup if the mixture is too dry. 3 TB organic honey or organic unsulfered molasses. Combine hot water and oats in a large mixing bowl. Add honey and/or molasses, peanut butter (banana) and olive oil. Mix well until all ingredients are incorporated. Add flour and stir until mostly combined then using clean hands continue to mix until a dough forms into a ball that is not sticky. Roll dough onto very lightly floured surface to approximately 1/4″ thick. Using a cookie cutter, or pizza cutter, cut dough into desired shapes. Place cookies on a parchment lined cookie sheet (or an ungreased, unlined cookie sheet), and poke each treat with a fork so they don’t get too puffy while baking. Bake for 25-45 minutes, checking every 5-10 minutes. Rotate the pans halfway through baking. The baking time range is large because it depends on the size of your treats. Mine are around 2×2 inches, to 2×3 and they take about 30 minutes. Treats may start to get over-browned, while others are still underdone just move the crispy ones to a plate or bowl, and continue baking the others. These cookies should be hard once cooled. When you touch one with your finger there should be very little give in the dough. Either cool on a cooling rack, or turn off oven, open door and let them cool in the oven. I do this for the thicker treats, but not the thin ones or they’ll just burn. Store in an airtight container once fully cooled. I warn you, your dog will want to eat all of these. He/She may even offer to do chores just so you’ll give them more of these crunchy mailmen. They are gorgeous! My dogs are grain free along with me lol, but these are so much better than store bought. Just like people food they put all that crap in them. My golden is a mooch too but he only gets apples and carrots as treats because he has all sorts of issues that require us to maintain his weight very strictly. 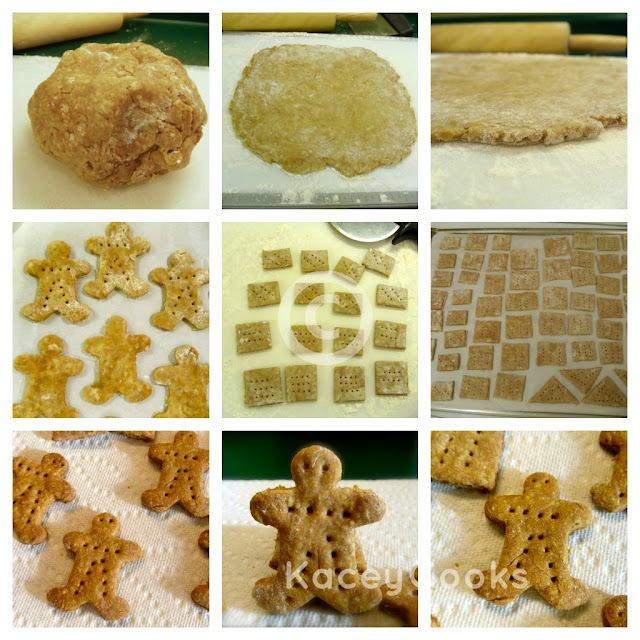 I have a 6 month Creme Golden Retriever, and have made her some little treats from a recipe in my favorite dog book I got back when I was in junior high (includes baby food meat and powdered milk, etc.) Your recipe looked a little less complicated, so I’m happy to have an alternative recipe on hand now too. Thanks! Kim, what’s your method of keeping your Golden grain-free? Do you buy a grain-free kibble, or go the all home-cooked route? I’d love to know. Thanks! 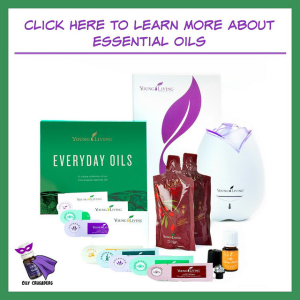 But I’m glad to have your easier, healthy version too! Mushed up meat might not be a bad ingredient, but most baby foods have GMOs and other ingredients that I just don’t want my furbabies to have. I used to puree liver and add it to their food- maybe I’ll make a liver treat, next. I’m newer to the real/whole food lifestyle, so there are still a few things I don’t immediately think about, like babyfood meat! Which I’d never bought before except to make those treats.